WOW! A 70th birthday certainly deserves a celebration! 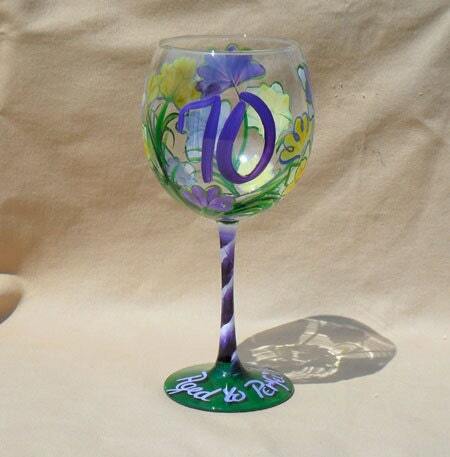 Commemorate this milestone with a custom, hand painted wine glass. 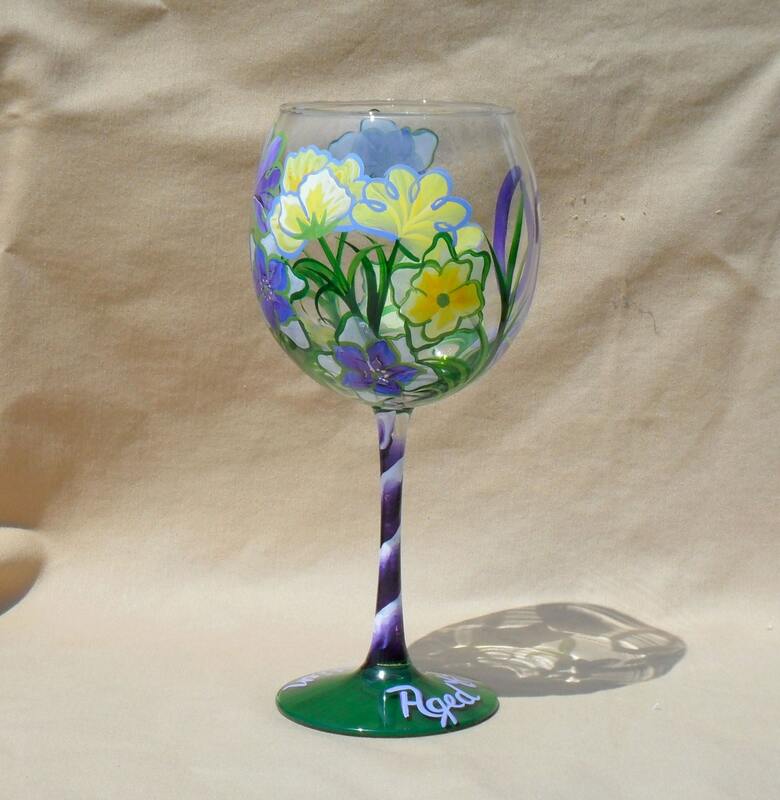 This glass is painted in blues, yellows and greens but can be customized to suit your color palette. 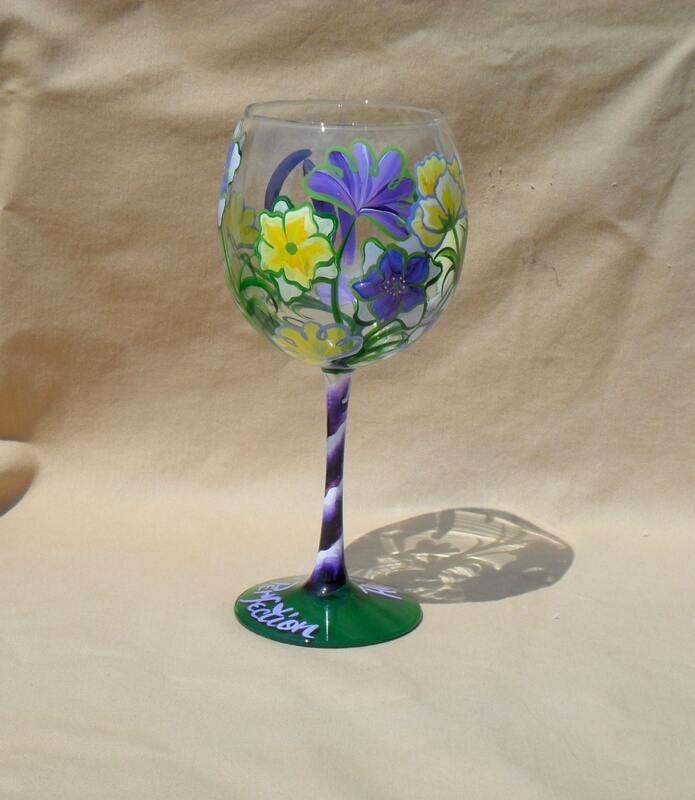 It can also be done for other milestone birthdays and personalized as well. Ask us what we can do for you. Also available in Navy, Hot Pink Coral and Yellow Colors. It was even more beautiful in person and it shipped immediately! Would order again!